This little multi-media art/song was my favorite piece from this year. The lyrics pay homage to a story I remember my dad telling me when I was a kid, My brother Greg wrote and performed the music. 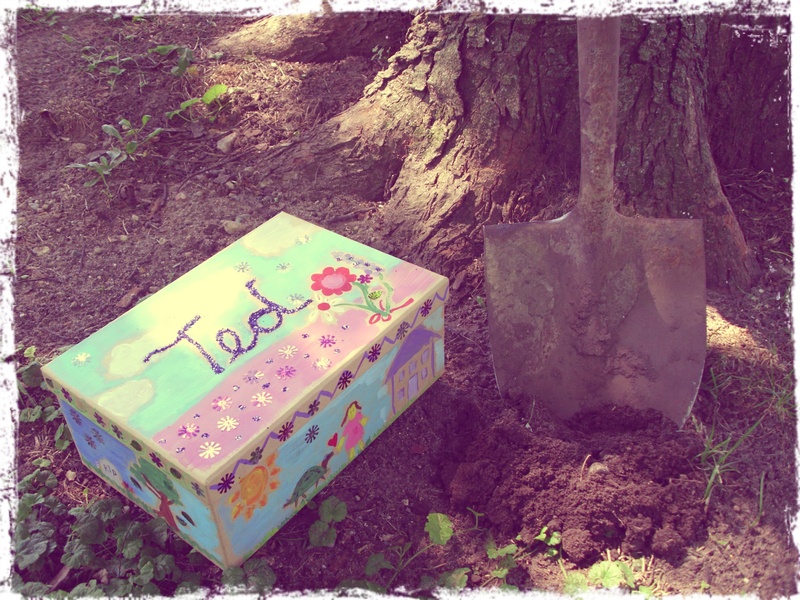 I made the shoe-box coffin when I was visiting Indiana over the summer and staged the picture in the back yard of my childhood home. When I think of this, I think of my dad, of working with my brother, of painting and gluing at the kitchen table talking to my mom, digging in the dirt, and remembering that words are fun. And I loved the way it turned out. Posted on January 13, 2014 March 9, 2014 by barrington99Posted in Art, FamilyTagged Funeral of Turtle, Turtle Song, Turtle Ted.